What To Do If Company Regulations and Employment Law Are Not Compatible? Employees can be terminated due to unexpected reasons. As an example, employees can be found using their work computers for handling personal email messages. This can be seen as a violation of the company’s network usage policy. Instead of getting warning, the employee can be terminated without reason. Is this a legal thing to do and is it acceptable to fire an employee over improper usages of personal email in workplace? Employment law should be implemented correctly and employees should know whether things that happen to them are appropriate. Proper implementation of rules should be part of the contract. 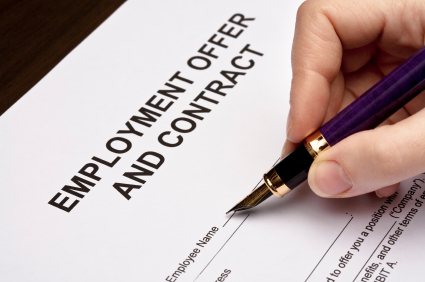 It is important for us to properly examine employment law in the local area. We should make sure that the employment law is widely distributed, clear, not against the law and enforce uniformly. Very few companies enforce employment law properly and it’s important for us to have proper procedure that can determine any kind of violation. Problems can happen when many components of the company regulation are not implemented, making it unclear for employees whether they can implement them or not. Suddenly, employees can be terminated due to the alleged violations of the regulations. This is a bad thing that we need to avoid whenever possible. A few other things to look out for in a policy include whether all the consequences are clear. We should also make sure that policies mentioned in the employment law are compatible with the job details. The enforcement of company regulation should be consistent with clear and applicable disciplinary procedures. We should make sure that there’s no attempt to go around the nation-wide employment laws and company regulations should be perfectly compatible. If things in company regulations and employment law are not compatible, we should consult with the employment lawyers. Some lawyers will agree to provide 30 minutes of conversation for specific amount of money. Before you find yourself get terminated due to a rarely implemented company regulation, then it is important that we get a copy of the regulation and read it carefully. We could compare it with current implementations in the company and find out whether they are regularly enforced. Termination is illegal, if there were no warning and probation related to the law. We should know the process and find out why we could get caught up in termination, without prior warning. Our situation is much better if we know both the company regulation and state employment law. This should allow us to contest any kind of incompatibility. We should choose employment lawyers who are able to deliver down to earth and fresh approaches to common employment issues. Each lawyer may have unique approach, so it is important to be prepared if we see something that’s not usual. We should know about the knowledge and strength of each lawyer, so we will be able to deal with each in a proper manner. They may also write regular journals on common legal concerns.